Dr Dylan Joseph is a refractive laser eye, cataract and retinal surgeon based in Knysna and Plettenberg Bay where he has established the Southern Cape Eye and Laser Centre. 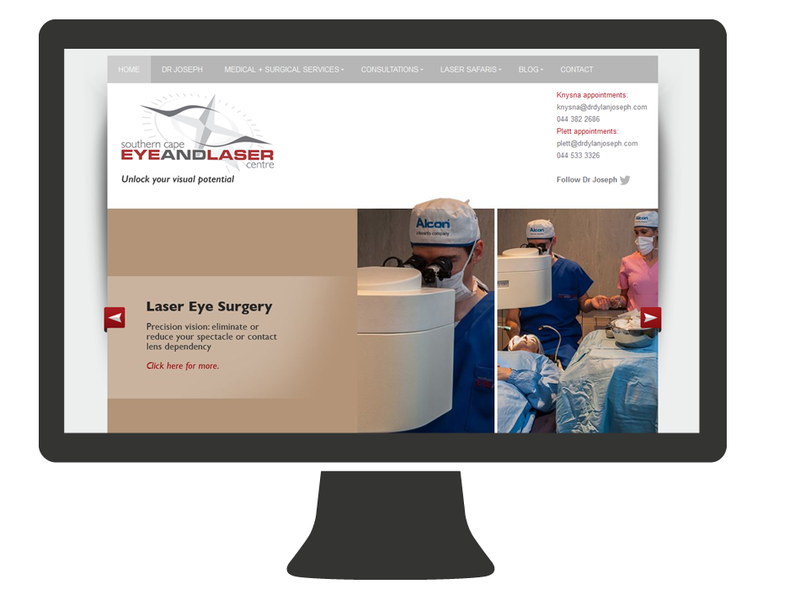 We wanted to build him a clean and clinical WordPress website that he could use as a tool to better his practice. Patients can read up about his medical and sergical services, read case studies on his blog, book appointments online and much more.